How is the response so far? What is your USP? We have only completed six months and over 60-65,000 people came to our restaurant. Because of our unique concept, we can extract more people towards our restaurant. The USP is that United Kitchens of India is a standalone restaurant in India, which has seven state cuisines under one roof. 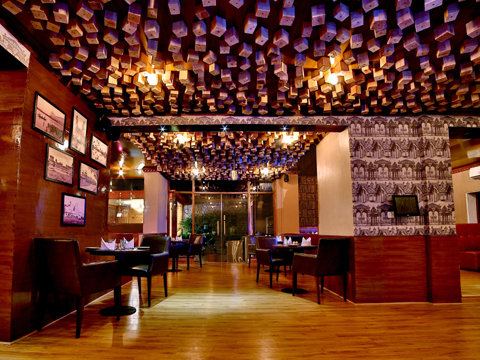 It is a standalone restaurant in India with a separate coffee shop and lounge bar at our outlet. We also have good parking space, which is not present in any other restaurant in Hyderabad. How did you design your menu? As Hyderabad is a growing city in India because of cooking. People across the country travel to Hyderabad and we have design the menu accordingly. Cuisines, which are included in our product line, are Telangana, Andhra, Kerala, Tamil Nadu, Bengali, Punjabi, Rajasthani and continental. How’s your concept different from others? We maintain the authenticity and urgency of a product. Like, Bengali food is made by Bengali people only. We mainly target corporate people and people who travel from different states. Do you feel threatened by your competitors? At least, in Hyderabad and Pune, I don’t feel any competition. As many restaurants only serve Andhra food, North Indian food, Bengali food, but my restaurant serves all these cuisines. What is your average footfall? The average footfall during weekends is 500-600 and for weekdays is 350. We didn’t do any marketing. All our responses are completely from mouth to mouth publicity. As of now, we have not decided in terms of expansion. But definitely, we want to expand in Bangalore. And for Hyderabad one restaurant is sufficient.